Keyboard players are a perfect choice for events of all types from corporate and community events, to birthday parties and weddings. They can provide a variety of sounds and styles of music. Electronic keyboards can synthesize unique sounds and multiple instruments, making it a great substitute for a full sized band. Keyboard players can provide a similar service as a piano player, but offer the convenience of portability that you can't get with a baby grand or upright piano. 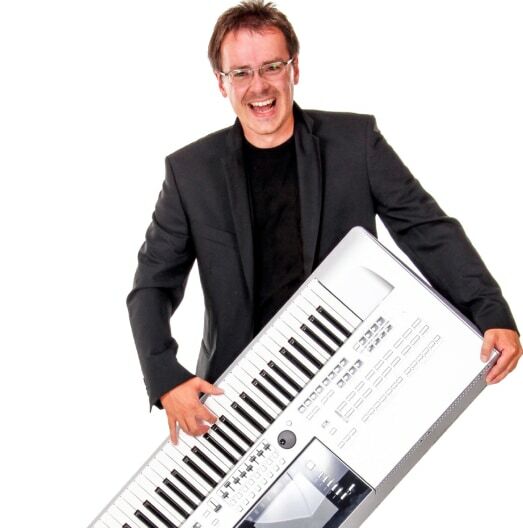 Search for Keyboard Players in Brossard, Quebec above. Please note that these Keyboard Players may also travel to Préville, Saint-lambert-chambly, Greenfield Park, Saint-Hugues, Saint-Lambert, Saint-Hubert, Verdun, Montreal, Montreal, Montréal, Saint-Jerome, Côte-sainte-catherine, Outremont, Kahnawake, Lasalle, Delson, Saint-bruno-de-montarville, Montreal West, Long Point, Saint-philippe, Saint-philippe-de-laprairie, Lasalle, Lasalle, Lachine, Mount-royal, Ville-la-salle, La Salle, Côte-saint-luc, Saint-Basile-le-Grand, and Carignan.